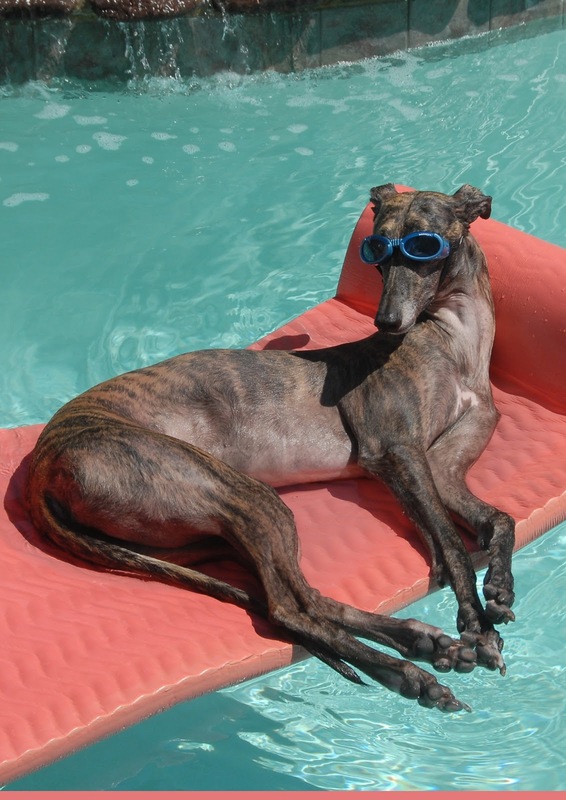 Rescued greyhound Flak living the good life in Texas. 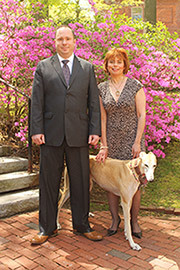 Across the country state legislatures are adjourning, ending what has been the best session for greyhounds in at least three years. Several states passed important greyhound protection laws, while others rejected attempts to prop up the cruelty of dog racing. In Arizona, lawmakers passed a requirement that greyhound injuries be reported to the public. In Arkansas, Texas, and Arizona, laws were passed to increase the maximum penalties for dog track violations, including the strongest penalties ever. Proposals to revive greyhound racing were rejected in Texas and Kansas, while a bill to encourage the legalization of dog racing in Hawaii was defeated. Lawmakers defeated a bill that would have required the Texas Racing Commission, a regulatory agency, to promote greyhound racing. In Colorado, lawmakers refused to permanently extend greyhound simulcasting. Each of these victories is important. Taken together, they reflect a growing consensus that greyhound cruelty is a serious issue that deserves legislative attention. They also suggest that the dog racing industry, which was once a legislative force to be reckoned with, has lost much of its influence. GREY2K USA was actively involved in every one of these efforts. We joined other animal protection groups, grassroots volunteers, state regulators, and compassionate lawmakers to make sure that the greyhounds were given a voice. In fact, this legislative session is a textbook case of how we approach our work as a non-profit greyhound protection organization. First, we extensively research greyhound racing until we know the industry better than it knows itself. Second, we collaborate with other humane organizations and grassroots volunteers. Finally, the coalitions we form engage in the public arena and call for positive changes to help greyhounds. This recipe for success works, and our victories this year bode well for future greyhound protection campaigns. As Frank Sinatra once sang, the best is yet to come. Education has been the key, and the reality that you and Christine have placed the spotlight on is immeasurable in its spiritual impact. You know that Greys sleep better just hearing your names. Thank You so very much! Thanks Eric. It is a team effort for the greyhounds!